Redmond, WA – Redmond Mayor John Marchione has announced the appointment of Chief Kristi Wilson as the interim Public Works Director. Martin Pastucha resigned from the position effective November 28, 2018. 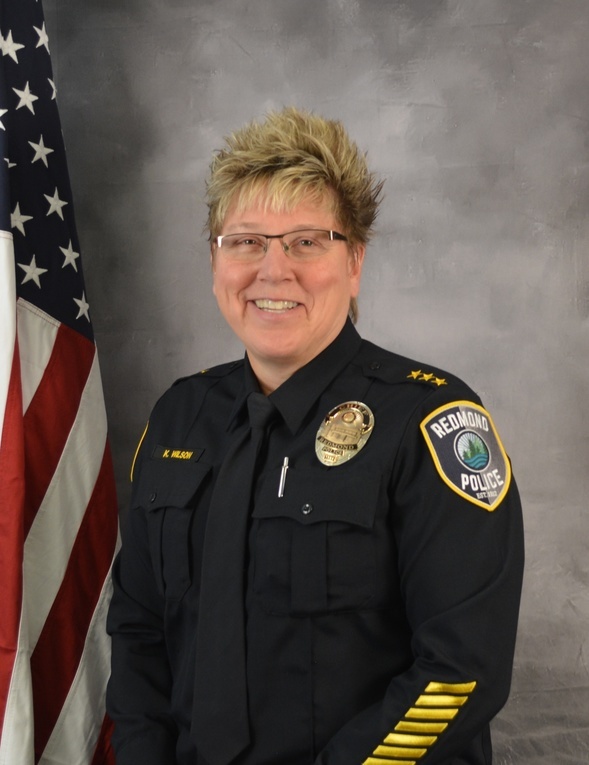 Wilson became Redmond’s Chief of Police in January of 2016 and will continue serving in both positions until a new Public Works Director is hired. Wilson has worked in various management positions prior to becoming Chief, in her 25 years of service to the City of Redmond. “Chief Wilson’s leadership skills and her decades of experience in supporting the City of Redmond’s residents make her an ideal fit for the interim Public Works Director,” stated Mayor John Marchione. “We are in the process of conducting a national search." Wilson is a graduate of Central Washington University and has a BA in Sociology, a Masters in Organizational Leadership from Gonzaga University, and she is a 2012 graduate of the Federal Bureau of Investigations National Academy (FBINA). For questions and more information about this press release contact Lisa Maher, Communications & Marketing Manager, at lmaher@redmond.gov or 425-556-2427. This press release is available on www.redmond.gov.